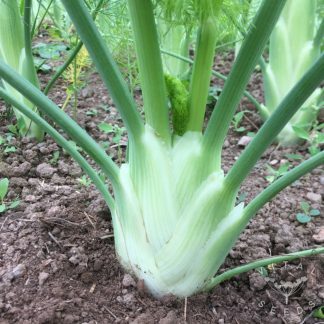 Florence Fennel likes a sunny site and a lot of water. Direct sow fennel seeds in late May or June in rows 30cm apart or sow in April in modules and transplant at four-to-five leaf stage. Keep it moist and earth up when the bulb starts to swell. Fennel can also be grown in 15cm pots.